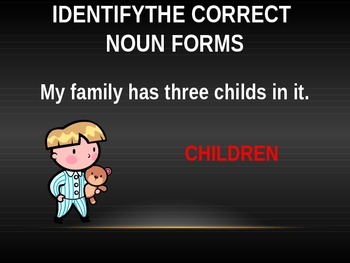 In this great review game/activity, students must identify the incorrect noun form and correct it. 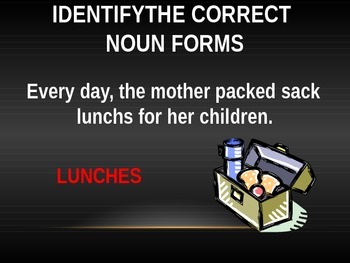 This PowerPoint includes 24 opportunities for students to correct common noun form issues. 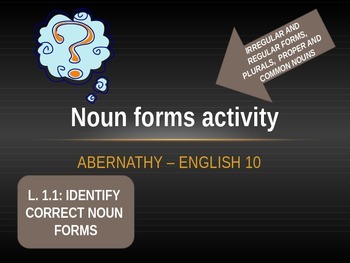 Use this resource in your class as a review, practice, quiz... you name it. 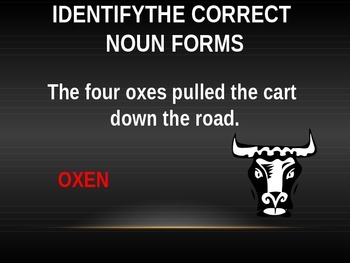 This concept is ACT, SAT, End-of-Course test, and MORE!